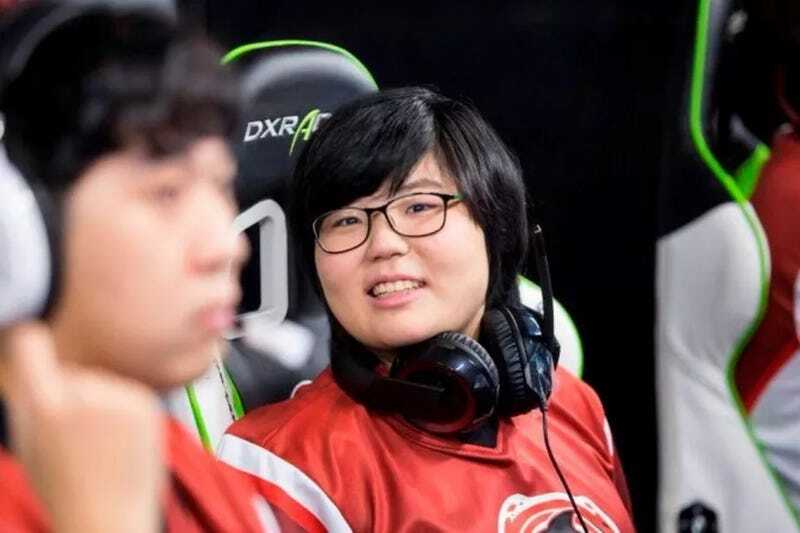 Kim “Geguri” Se-Yeon is the first female player signed to a team in Overwatch League. Kim “Geguri” Se-Yeon is the first female player signed to a team in Overwatch League. Shanghai Dragons has confirmed that they’ve signed along with three other Korean players: He “Sky” Junjian, Lee “Fearless” Eui-Seok, and Chon “Ado” Gi-Hyeon. Shanghai had a 0-10 record in Season 1, so the new talent should help.